Welcome to the next Fusion Challenge - there's a new one every other week - and what inspiration we saw for the last challenge! So many beautiful flowers and cupcakes and pastel colors! 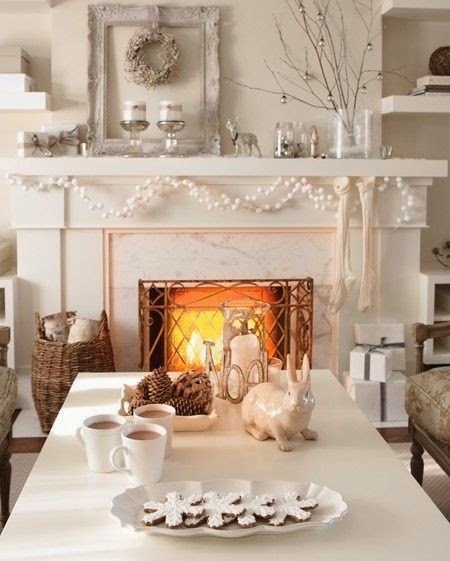 And here is our new inspiration! I used the Cover Plate - Stripes Horizontal die from Papertrey Ink to cut the Lemon Tart card stock to give the impression of the hutch. I backed it with a piece of DP from October Afternoon/Farm house that reminded me of the dishes on display. The blue die cut arrows were inspired by the blue chair in the photo and finally the yellow enamel dots are like the cupcakes - don't they look yum??!!! (the cupcakes that is!) The sentiment is a free stamp I received in an order from Lawn Fawn. What will you be inspired by this time? We'd love for you to link up your card to the Fusion Challenge - check out all the details here. And if you have a few minutes - please check out all the inspiration from the Design Team linked below! Accessories: 1 1/4" circle punch - EK Success, arrow dies - Lead the Way Dienamics/My Favorite Things, Cover Plate Stripes Horizontal die - PTI, Glue Pen, Glue N Seal, enamel dots - home made from Perler beads. Today I'm sharing a Thank You card. I used a stitched mat rectangle die from Lil' Inker Designs for the cream panel - and a Time Piece die from My Favorite Things that I cut from shiny gold card stock. You would usually pop out the little squares on this die - but I wanted it solid behind my bee. 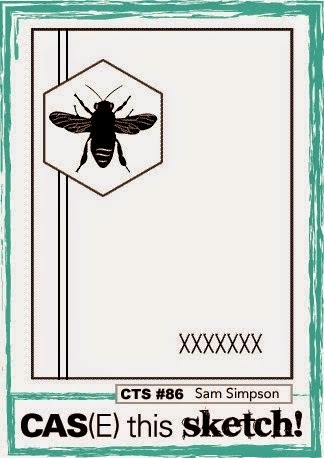 I stamped the sentiment from the Honey Bees set in the corner on the front of the card - and stamped Thank You inside along with the crown from the same set. Accessories: Gold tape - PTI, foam tape, Gold Gel Stick - Uni Ball, Circle punch - EK Success, dies - Stitched Mat Rectangle - Lil Inker Designs; Time Pieces - My Favorite Things. CC3C #7 Painted Industrial - and A Vintage Journey #11 Just Stain It! I have been trying to work up the creative juices to start an Art Journal - and these two challenges finally enabled me to do it! The CC3 Challenge is to use Tim Holtz Painted Industrial technique which is found in his Compendium of Curiosities III on page 46 (part of the challenge is that we cannot describe the technique - you need to have your own CC3 to look it up). And the A Vintage Journey challenge is to Just Stain It - to use Ranger Distress Stains in various ways on your project. So here is my Art Journal - that started out life as a plain black - spiral bound journal - I think I got it at Michaels.....I've had it for some time - gathering dust in my Craft Room! I decided to see how Distress Stains would look on Kraft Glassine Paper. So I stamped the bird and window frame from Classics #16 stamp set using Archival Jet Black Ink and let it dry. Then I just dabbed Tumbled Glass and Picked Raspberries Distress Stains over the images - they kind of beaded up on the Glassine paper so I just kept dabbing and the color did soak in a 'blotchy' kind of way - and they did keep their bright colors! I used the Painted Industrial technique on borders along the top and bottom of my cover using the Vintage Lace dies. I didn't pop out the little circles on the lacey cuts so the black distress paint would show. I also used the technique on the crown and ink bottle which I'll show close up below. The sentiment stamps are from Destination Art by Wendy Vecchi/Studio 490 Stampers Anonymous. Perfect for my Art Journal I think! I added Forest Moss Distress Stain to some White Embossing Paste from Wendy Vecchi and applied it to both the Dot Fade and Stripes stencils. I cut the label from the Apothecary Bottles die from cork, stained it with Picked Raspberries Distress Stain and added some Life Quotes Remnant Rubs to it. I dabbed the edges with Frayed Burlap Distress Paint. The ink bottle is a die cut Apothacary Bottle that I cut the bottom off of to look like an ink well - with the feather as the pen. I die cut another Apothecary Bottle labels out of Art Parts Clearly for Art Modeling film, added a Chit Chat sticker that I stained with Tumbled Glass Distress Stain and outlined with a black Stabilo Pencil and layered it over the bottle. I used the clear film as I didn't want to hide any of the Painted Industrial technique on the inkwell! 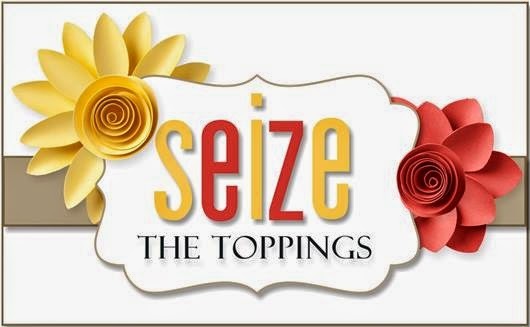 I used the Sizzix Patchwork Embossing folder on the ink well. You can see the Door Knob that I screwed into the cover better in this photo - you can actually open the Journal with the knob - so fun! and when the journal is open on the table - the knob actually protects the popped up pieces on the cover since it keeps the cover from lying flat. I looped a single piece of Linen Ribbon through one of the binder rings. I wanted to keep the back flat - so there is nothing sticking up here. I used several Remnant Rubs here (Life Quotes and Botanicals). I used the same papers on the front (under the Kraft Glassine) and the back - Paper Stash/Wallflowers. I die cut the Ornante Frame from Kraft Glassine and stained it by dabbing Tumbled Glass Distress Stain over it and framed the gentleman's face on the patterned paper. Now I just have to work up the nerve to actually do something on all of these clean white pages inside my Art Journal!!! One step at a time - right??!!! 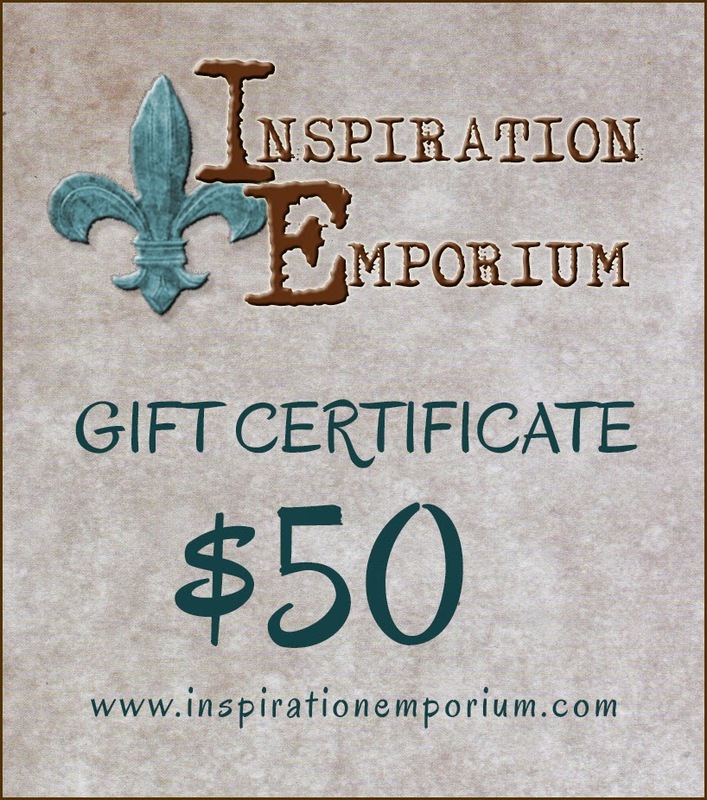 This week's CC3 challenge is sponsored by Inspiration Emporium who graciously offers a $50 gift certificate to the winner! Paper: Kraft Glassine - Idea-ology; Foil Tape Sheet - Ranger, Vellum - Stampin' Up, Paper Stash Wallflowers - Tim Holtx, cork sheet - Michaels, Art Parts Clearly for Art Modeling Film - Wendy Vecchi/Studio 490. Accessories: Ranger Distress Stains - Tumbled Glass, Picked Raspberries, Forest Moss; Ranger Distress Paint - Black Soot, Frayed Burlap; Alterations Dies - Apothecary Bottles, Heart and Wings, Ornate Frame, Vintage Lace Sizzlets; white embossing paste - Wendy Vecchi/Studio 490; stencils - Dot Fade and Stripes - Tim Holtz; Cropadile; Idea-ology Door knobs, Chit Chat Stickers, Live Quotes and Botanicals Remnant Rubs, Linen Ribbon; Black Stabilo Pencil. Goodness - we just had the most perfect summer's day here in Massachusetts today - hot in the sun but with a cool breeze. The whole month of July so far - has made up for the nasty cold winter we had! And even though I had to mow our lawn - because DH's knee went out - I still enjoyed the day - because after I mowed the lawn and took a shower - I went to BOTH Joann's and Michaels with coupons in my tight little fist! So - today I'm using more of my Papertrey Ink goodies - the cool Text Block Birthday Die - that I layered over a piece of card stock from the Shaker & Sprinkle Patterned Paper Collection (that came with the Shaker & Sprinkle Market kit - which I guess you cannot order now). I just added three sequins from Neat n Tangled and was done! 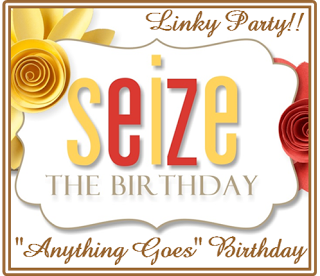 Accessories: Text Block Birthday Die - PTI, Glue Stick - Ranger, Glue N Seal, Sequins - Neat N Tangled. Sprinkles and Smiles to be exact! For today's creation I used another of my Papertrey Ink Market kits - Shakers and Sprinkles - I buy so many things that I actually forget what I have - so I'm making a conscious effort to get things out and play with them! My stitched tag is from Waltzingmouse. The white stitched frame die, the pretty chevron patterned paper, the Sprinkles die, the sending, &. and Smiles stamps, the stars and green sequins are all from the PTI Shakers and Sprinkles Market kit (which I actually just received last week - I was on the backorder list from May). The arrows are MFT and the black jute string is Tim Holtz. Accessories: White embossing powder, heat tool, Glossy Accents, foam dots, Jute String - Tim Holtz, Stitched Tag Die - Waltzingmouse, Lead the Way Arrow dies - MFT, Stitched Frame die Sequins and stars from Shakers and Sprinkles Kit - PTI. Art with Heart Challenge - Star Student! 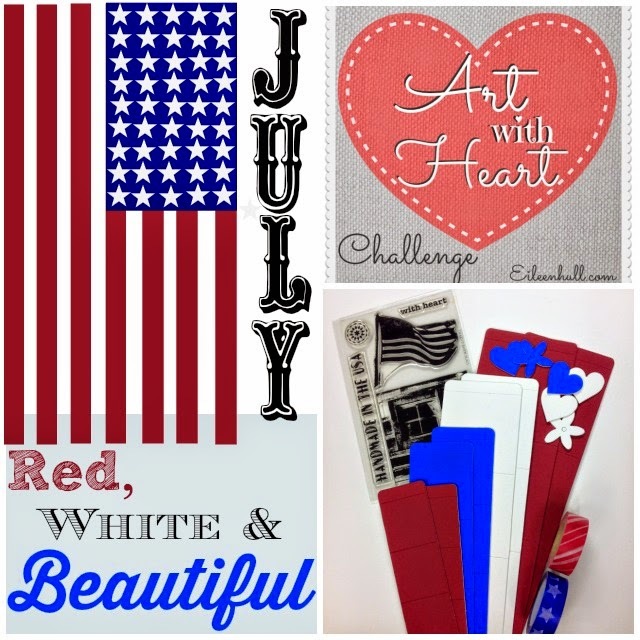 I finally finished my project for Eileen Hull's Art with Heart July Challenge - Red, White and Beautiful. I had the box (Sizzix Blocks/Cubes 3D) and panels all made and put together but just couldn't decide how I wanted to decorate it. But now the deadline is one day away so I put the creative engine in full gear! And here is my interpretation of Red, White and Beautiful! I used a Clock Key for the top and tied some wrinkled seam tape around it in a bow and let the tails dangle down. The 3D Star die is from Savvy Dies and the gem stars are from JoAnns. I used 2 thick foam dots layered together in the center of the star to adhere it to the sides of the block. Given that fall and getting back to school are just around the corner (although I do NOT want to wish the summer away!!) I'll save this to give to "a star student' in the fall. The top of the box opens so a little treat can be placed inside. The stamp and stitched banner are from Lil' Inker Designs. For the panels - I stenciled a big strip of white card stock using Wendy Vecchi's Translucent Embossing Paste and Tim Holtz Layering Stripes Stencil. Then I inked the panel with both Salty Ocean and Festive Berries Distress Inks. To finish it off - I stenciled Graduated Stars from MFT in Archival Black ink. Then I cut the panel into 2" squares and adhered them to the cube. You can see it most clearly on the bottom side here. So I guess I'm finishing this project just in time to find out what the August Art with Heart Challenge will be! Paper: White Little Sizzles Mat Board, White - PTI, DP October Afternoon Farm House and Sidewalks. 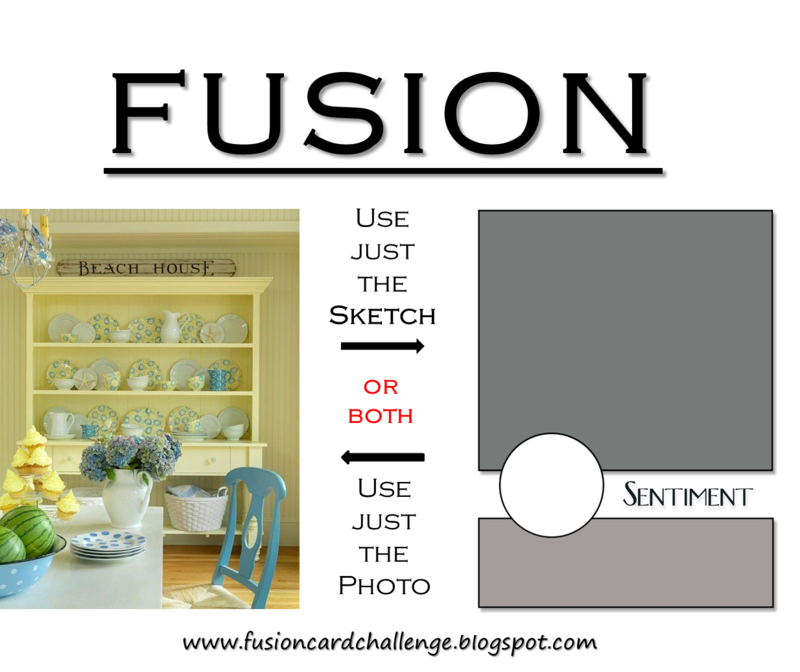 Ink: Ranger Distress Salty Ocean and Festive Berries, Memento Tuxedo Black, Archival Black. Accessories: Stripes Stencil - Tim Holtz, Graduated Stars Stencil - MFT, Wrinkled Seam Tape - Prairie Bird Boutique Etsy Shop, Wendy Vecchi Translucent Embossing Paste, sticky stars - Joanns, 3d Star Die - Savvy Dies, Stitched Sentiment Flag Die - Lil' Inker Designs, thick foam dots, Idea-ology Clock Keys, Sizzix Block/Cube 3D. The little bunny won out! I love the stitched bunny and bow from Lil' Inker Designs - I guess she's not just for Easter anymore!! I cut her out of a brushed gold card stock. I also used (for the very first time!) my long ago purchased and stored away Impression Plate from the Luxe Letter Press Market Kit from PTI. I stamped the NOEL from the Nutcracker Sweet set by Waltzingmouse in Brilliance Gold Ink next to my bunny. The bunny and bow are both popped up on foam tape. May peace be yours tonight. Today I have two cards to share - made for two different challenges but using some of the same supplies on both. First I have a sympathy card (always good to have on hand when you suddenly need one). 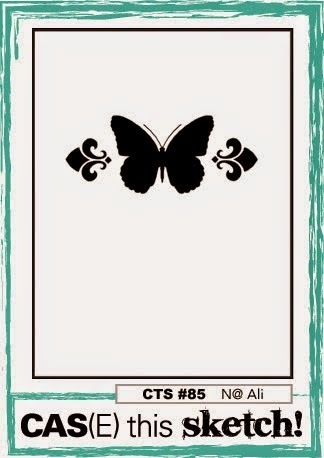 I used two older dies for this - a Butterfly die from Provo Craft (that also came with 3 embossing folders so the butterfly could have dots, text or a pattern on it). I die cut it from a piece of patterned paper from Basic Grey/Curio Pad. The stem is cut with an older Sizzix die. I die cut the panel with my stitched mat rectangle die from Lil' Inker. I folded the butterfly in half and adhered her by running a Glue Pen down the middle so only that part was attached to the card - then I placed a piece of a thick foam dot under each wing to hold them up even through mailing. The sympathy sentiment is an older wooden stamp from Rubber Stampede. I die cut several of the butterflies when I made my card - so I could make more Sympathy cards - and then also used one for this Get Well card. I again, die cut the panel with my stitched mat rectangle die and then also die cut a stitched mat circle out of the side. I added the butterfly in the same manner - gluing just the middle and putting thick foam dots under the wings. I added the sentiment on a die cut Sentiment Strip from MFT, some sequins and a little punched heart. This Basic Grey/Curio paper is so pretty isn't it? It's got text in black and red and white flowers that look like stenciling. Accessories: Dies - butterfly - Provo Craft, stem- Sizzix, Stitched Mat Rectangle - Lil' Inker Designs, thick foam dots, Glue Pen, thick foam dots. Accessories: Dies - butterfly - Provocraft, Sentiment Strip - My Favorite Things, Circle and Rectangle Stitched Mat dies - Lil' Inker Designs, Lucky Blend Sequins - Avery Elle, Tiny heart punch - McGill, Glossy Accents, thick foam dots, Glue Pen. You can create any type of project i.e tags, canvas, cards, altered art.....as long as you include dies and distress products such as inks, paints, stains, embossing powders and markers. Dies can be distressed, stained,painted, embossed and stamped.................the creativity is yours. 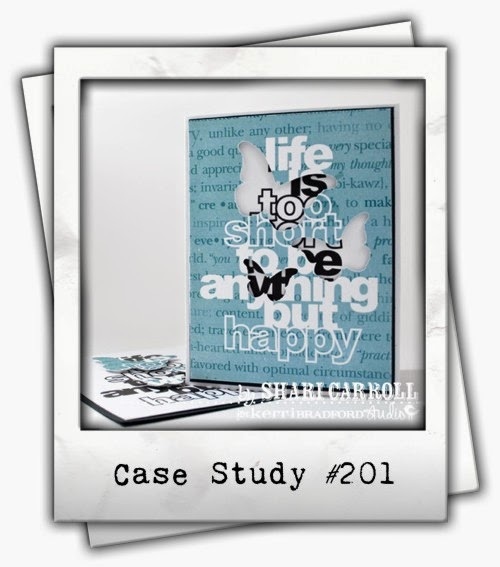 We are a Tim Holtz inspired challenge blog, however, it is all about Tim's style, so the dies you use do not have to be from Tim's Sizzix range. Please check out our Travelling Instructions for more details. Our regular sponsor is Country View Crafts and the challenge winner will receive a £10 gift voucher to be redeemed at their online store. For my distress products I used Mustard Seed, Faded Jeans and Antique Linen Distress Inks, Aged Gold Frantage Embossing Powder, Tim Holtz Dot Fade Stencil, paper from Idea-ology PaperStash/Wallflower, and Tim Holtz Paper Distresser. For my dies - I used Tim Holtz Arch Frame and Cresent Moon and Stars cutting them out of white card stock. I sponged the arch with Faded Jeans Distress Ink - and then inked the Dot Fade Layering stencil over it with Mustard Seed Distess Ink. I embossed the moon and stars with Frantage Aged Gold embossing powder from Stampendous - and then sponged over them with Mustard Seed Distress Ink to color any white spots that showed through. I layered them over the panel with foam dots. The sentiment frame already looks distressed when you ink it. I added some Remnant Rubs/Botanicals words to the arch die cut. I distressed the edges of the patterned paper panel and sponged them with Antique Linen. 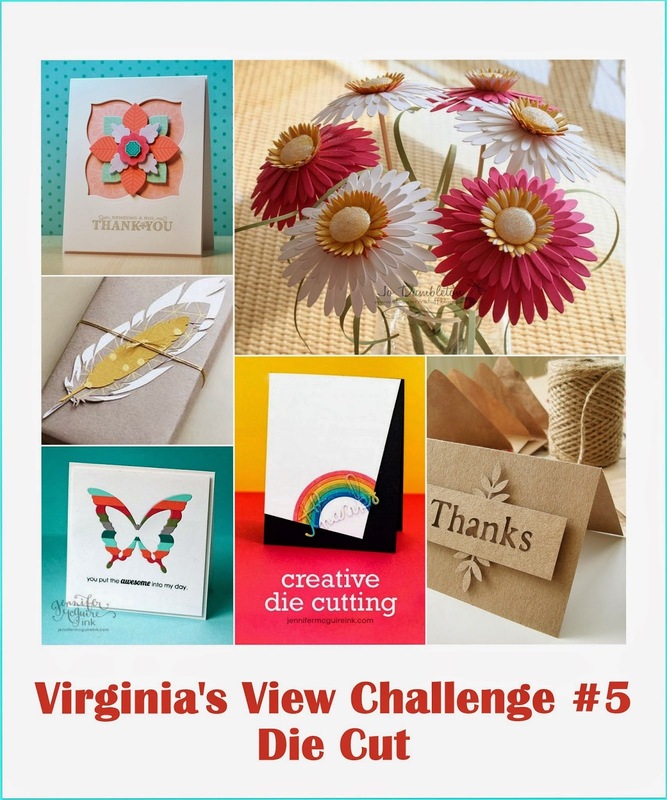 I hope you'll create a Dies and Distress Project and link it up over at A Vintage Journey - you have until the 24th 6pm UK time to link up your project! Ink: Ranger Distress - Faded Jeans, Antique Linen, Mustard Seed, Archival Jet Black, Versamark. Accessories: Aged Gold Frantage Embossing Powder - Stampendous, Stencil - Dot Fade Tim Holtz, Remnant Rubs/Botanicals - Idea-ology, Dies - Arch Frame, Crescent Moon and Stars - Tim Holtz, Distress Tool - Ranger. A friend at work asked me to make a special birthday card for her sister who is a "fashionista!" I thought it would be fun to use my Tim Holtz dress form die on a piece of honeycomb paper to make it 3 dimensional. I was going to just put it on a card front - but then found this cute bureau side step tutorial in a pile of things I've printed off on one of the tables in my craft room (when I was cleaning!) and thought it would be the perfect thing to highlight the dress form! The basic side step tutorial can also be found on Split Coast here. I inked all the edges of the card, drawers, sentiment labels and dress form with Antique Linen Distress Ink. I added pieces of Melange Tissue Wrap to two of the step and tied two colors of wrinkled seam tape around the waist of the dress form to add a splash of color to the card. I stamped the sentiments on die cut Sentiment Strips from MFT. I put clear tape along the seam in the back of the honeycomb to hold it open - this looks good even from the back doesn't it?! I stamped a birthday verse here and my friend can also write a note to her sister here. I stamped the birthday girl's name on a hand made label (the bottom end was made with the SU Curly Label Punch) and tied it onto the neck of the dress form using a piece of twine. I'm linking my birthday card to Seize the Birthday - optional toppings: use twine or string. Ink: Archival Jet Black, Ranger Distress Antique Linen. Accessories: Wrinkled Seam Tape - Prairie Bird Boutique Etsy Shop, Square Gems - Joann's (old! ), curly label and modern square label punches - SU, twine from stash, ScorTape, Dies - sentiment strips - MFT, dress form from Sewing Room die - Tim Holtz Alterations. 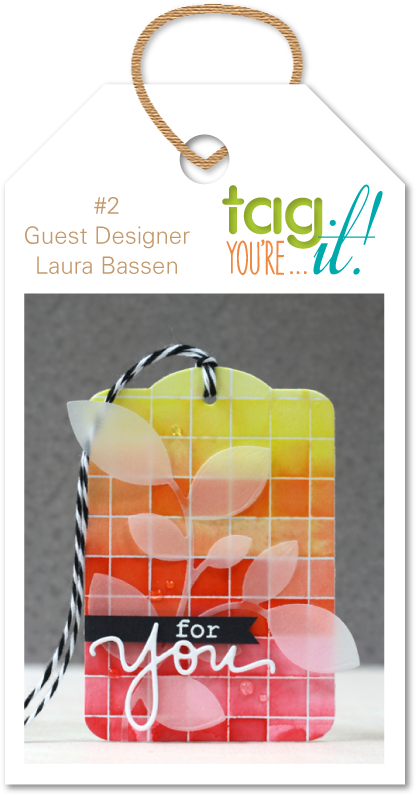 Guest Tutorial Author on Splitcoast Stampers!